Because customers come in all shapes and sizes. 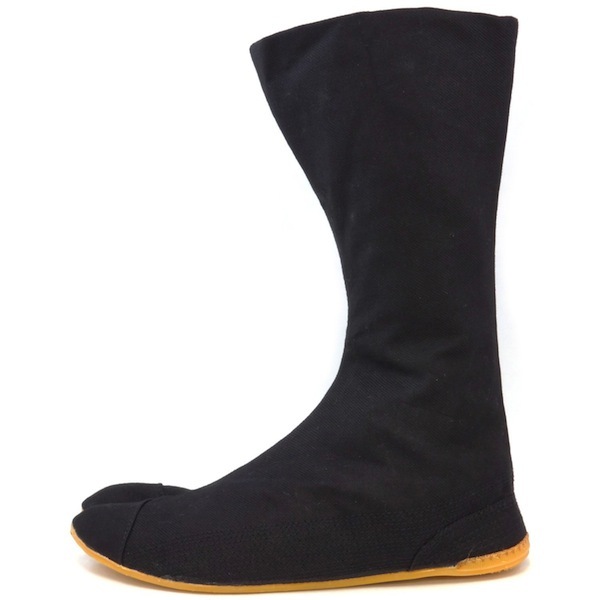 The Shimebuto fit provides extra girth for your ankles and calves. 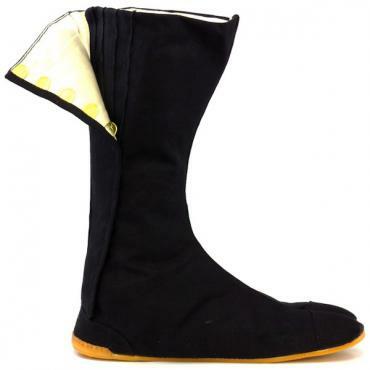 The Fighter is our most popular jikatabi model. Flexible, light-weight, durable and extremely comfortable. 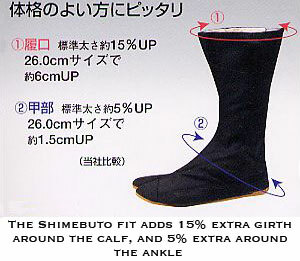 The Shimebuto fit provides extra girth for the ankles and calves. The exact measurement depends on the size but for a size 26cm it is an extra 6cm around the calf and 1.5cm around the ankle. They have metal tabs (kohaze) with four width fittings for a perfect fit. Produced by Rikio, the top manufacturer of jikatabi in Japan. ine-washing them. It's a shame, because they seem well-made. 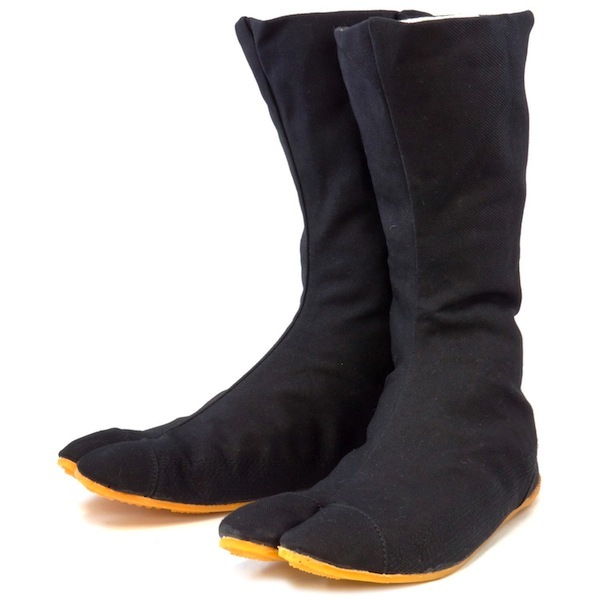 I have given my pair to a friend of mine whose feet are a size smaller than mine and they fit her well. I bought these for some of the guys in my class with bigger calves because they have struggled to get tabi's that fit, The feedback i have gotten from them is they fit well & dont feel tight. Great Item, Highly Recommended.